Molly Wright and her family moved to Savannah from Baltimore in 1997. She is an East Coaster, having lived in Connecticut and Virginia. A painter all of her life, she received a BA, majoring in fine art, from Randolph Macon Women’s College. Molly works in both oil and acrylic, responding to the thick texture and strong pure color offered by both. She enjoys the interplay between representation and abstraction and always she strives to paint beauty, describing her subject choices as being dynamic. People in everyday situations, florals, and the landscape of her Savannah, Georgia home all provide inspiration. Molly’s newer works are expressionistic and impressionistic ~ utilizing color as a tool as much as her brush. 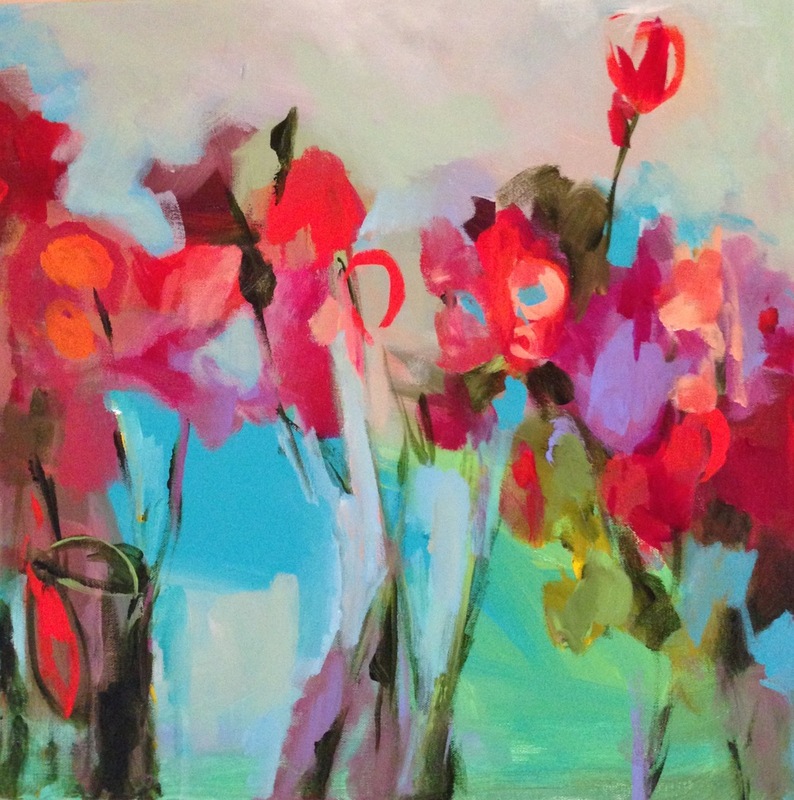 She achieves distinction with her bright, happy palette and a loose painterly style that allows for the viewers own interpretation to be part of the piece. At this time, Molly shows from her home studio as well as exhibiting in numerous solo and group shows up and down the East Coast. Her work is in many private as well as commercial collections including that of Jay Fishman, CEO of The Travelers, and Martha Jefferson Hospital in Charlottesville, Va. Her oil painting, “Lose Yourself In Books” was chosen as the 2012 Savannah Book Festival signature image. In 2012 Molly started Quintessential Fine Art Fabrics. Quality fabrics designed from Molly’s original paintings are beautifully handmade into one of a kind or limited edition items, including neckties, scarves and make up bags. These items are available online or through shows only. Please contact Bozzuto Greene Art to purchase pieces not available in the online store.